One key sticking point between the two chambers: teacher pay. The Senate has approved a bill proposing $5,000 across-the-board raises for Texas teachers. The House has advocated for more flexibility for school districts in teacher salaries, but the bill was amended Wednesday to give all school employees across-the-board raises of about $1,388 on average statewide and designate additional money for raises to be given at districts' discretion. The amounts would vary district by district based on student and employee counts, according to the office of Rep. Chris Turner, D-Grand Prairie, who filed the amendment. 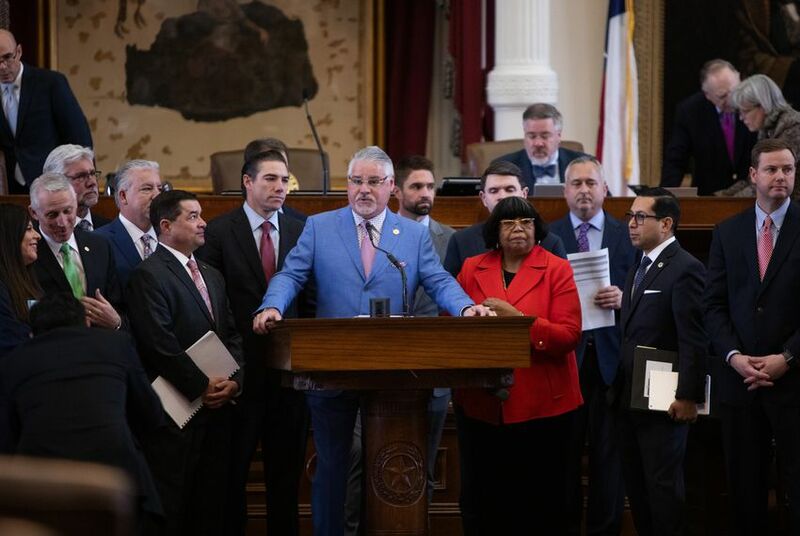 The most notable amendment Wednesday was the teacher pay raise provision filed by Turner, the House Democratic Caucus Chair. It would require school districts to use some of the extra money they receive in the bill to give the pay raises. It appears to serve as an attempt to compromise on an issue that quickly became a fault line between the House and Senate on how to spend money on schools. Turner's amendment would not add to the cost of HB 3, but rather would mandate school districts to use a quarter of the additional base funding per student to provide raises for school district employees who are not administrators — with the majority going to across-the-board raises for full-time employees and the rest going to discretionary raises. This provision would apply any time the Legislature raises the base funding per student in the future. Correction: A previous version of this story incorrectly described the size of the across-the-board pay raises mandated in the bill.